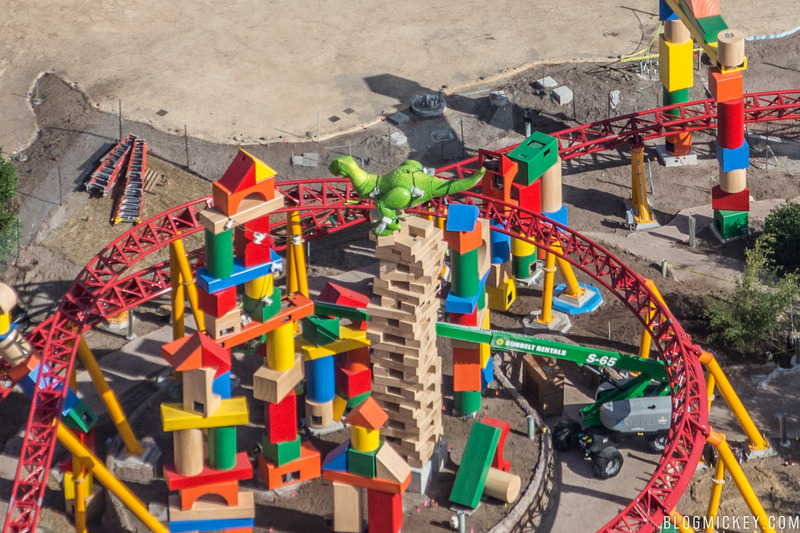 Disney has installed the first of the toy figures at Toy Story Land. 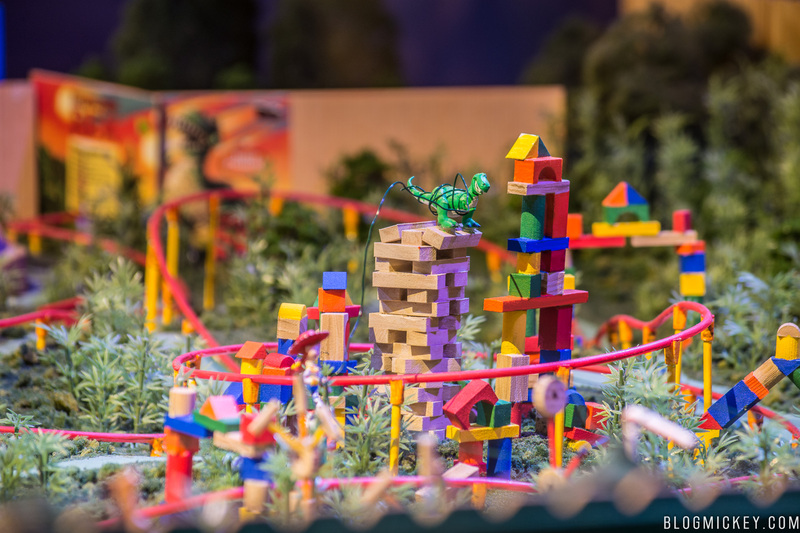 Rex was installed today and now sits atop a Jenga tower in the middle of the Slinky Dog Dash roller coaster track. A view from the ground shows his face a bit better as well as the large scale of the figure. 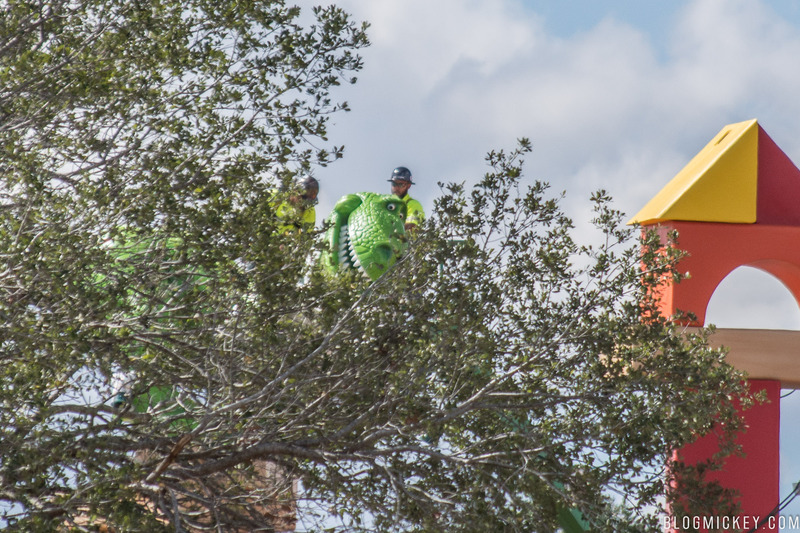 Rex appears to be 15-20 feet in length and will be joined by Jessie shortly, as seen in the Toy Story Land model below. Toy Story Land is scheduled to open Summer 2018 at Disney’s Hollywood Studios.